What Is a Gross Margin Percentage? All business expenditures aren't created equal. Some, like materials and production payroll, give timely and relevant information about the efficiency of your operations. Others, like rent and business licenses, speak to the background layer of costs that mostly stay the same whether you serve one customer or 50. Your gross margin percentage measures the relationship between your direct operating costs and your total income. It helps you to assess your profitability in the short term and your potential for profitability over the longer term. Gross margin percentage is a measure of your company's potential for profitability. To calculate gross margin percentage, divide gross profit by gross sales. The expenses section of your income statement first lists your direct operating costs, or cost of goods sold. The items listed encompass all of the purchases and expenditures that you can clearly track and correlate relative to your ongoing earnings. If you own a retail store, you'll need the inventory that translates into customer sales, and if you run a restaurant, you'll need the ingredients that go into your menu items and the kitchen staff labor to prepare the food and get it onto customers' plates. The more you sell, the more you spend in these categories. Gross profit is the amount left over after subtracting direct sales, or cost of goods sold, from gross revenue. It shows how much you would have earned if you didn't also have to pay for all of your direct operating costs, or the sums you spend to maintain your business infrastructure as opposed to the day-to-day expenses that clearly translate into sales. Gross margin is calculated from gross profit and is another way of expressing the same information. While gross profit simply provides a number, gross margin shows how that number relates to your overall sales by expressing gross profit as a percentage of total sales revenue. The gross margin formula is gross profit divided by gross sales. The higher this number, the greater your potential for profitability, especially as you scale up. Of course, this projected profitability will also depend on keeping your other operating costs sustainable. Even if your direct costs only make up a small percentage of the revenue you take in, your business won't be profitable in the long term if your rent is so high that you're unlikely to ever earn enough to cover it. What Are Examples of Fixed Expenses? How Much Does an Owner of a Small Bakery Make a Month? The direct costs that go into calculating gross margin play out in every transaction your business makes. To make sales, you must have product on hand. The less you pay to create or procure this product, the more you'll ultimately earn. If your gross margin is low, and if it is expensive to stock your store or your warehouse, you may be able to keep your business solvent by building up sales volume. A 20 percent margin on $10,000 in weekly sales yields $2,000 in gross profit, while a 20 percent margin on $1,000 in weekly sales yields only $200. However, a strong gross margin will translate to greater profit regardless of your sales volume. It only takes $5,000 in weekly sales to earn a $2,000 profit if your gross margin is 40 percent rather than 20 percent. Calculating your gross margin gives you information that can translate into improved profitability. If your gross margin is unsustainably low, it's better to see and understand this issue than to go from week to week wondering why you never have enough money in the bank. Breaking down your cost of goods sold into categories such as materials and production payroll gives you additional vital information. If you know where you're spending too much, you'll be well positioned to implement cost-cutting strategies. Although the gross margin formula seems like a reasonably straightforward way to evaluate the health of your company's operations, its real-world relevance can sometimes get fuzzy. The direct costs that you subtract from your gross revenue represent expenditures that go directly into production, but sometimes the line between production and other aspects of your operation isn't entirely clear. Management labor is typically calculated separately from employee hours, but if you're short staffed on the assembly line and your manager steps in to lend a hand, it's unlikely that your bookkeeper will separate out the expense of this portion of your manager's time. A restaurant may treat kitchen labor as part of cost of goods sold and front-of-house labor as fixed costs because you have to have staff on the floor whether or not customers come in the door on any particular day. However, this distinction is somewhat arbitrary because you also need kitchen staff on hand even if you have no customers because you never know when diners will arrive, and someone has to prepare their dinners. In addition, front-of-house labor contributes to the final product represented in the customers' bill, and you'll need more people on the floor during busy shifts than during slow ones. 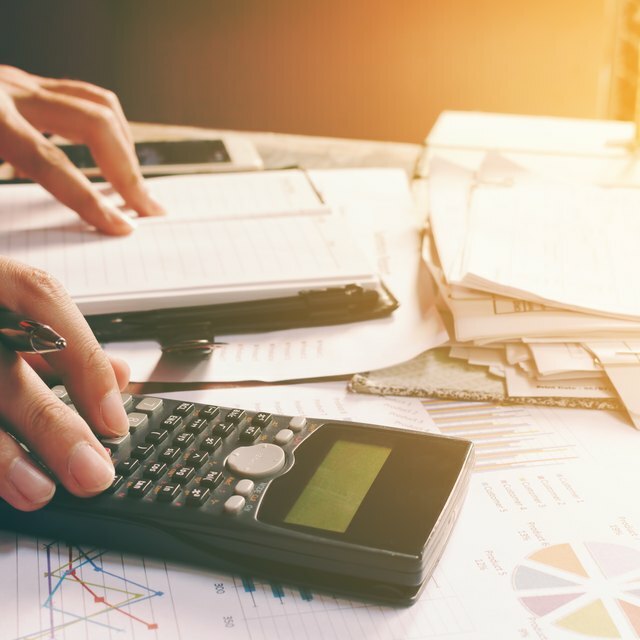 In truth, the distinction between direct and indirect costs can be somewhat arbitrary at times and can even come down to how much time and effort your bookkeeper is expected to put into sorting out the different expenditures and uses of payroll hours. Taking the time to track this information certainly gives you valuable data about how your business runs, but it takes extra time to process these numbers, and the accuracy of the numbers depends on information that can be quite difficult to obtain. You may ask your employees to fill out their time sheets to reflect the times dedicated to different job responsibilities, but a worker may be involved in production and infrastructure tasks within the same hour. Although it's nearly impossible to calculate gross margin percentage with complete accuracy, you can still obtain figures that are useful and relevant, reflecting the best information you can obtain using the record-keeping resources you have. Learn what you can from the numbers while keeping their limitations in mind. Average gross margin percentages can vary considerably from one industry to the next. It's useful to know the average for your industry so you can see how your own company compares. However, comparing unfavorably with your industry doesn't necessarily mean your business is doomed to failure, especially if you're able to keep other operating costs, such as rent, relatively low. The average gross margin for investments and asset management is close to 70 percent, while the average for the restaurant industry is closer to 30 percent. Engineering and farming both have relatively low gross margin percentages of about 11 percent, while the real estate industry is closer to 50 percent. The average for all market sectors is about 36.5 percent, but it is closer to 33 percent if you factor out the financial industry. Industry average gross margins are also important to know when you approach lenders or investors. If your company's gross margin is consistently higher than the industry average, it will make a good investment opportunity or low-risk loan prospect. If its gross margin falls far short of the industry average, a banker or investor may have good reason to be wary. Know your numbers and if they don't tell the whole story, find other ways to communicate your strengths. The numbers give valuable information, but your business is a complex organism and may have potential that these figures alone don't reflect.